Barnes Maze: A Wet Barnes Maze? 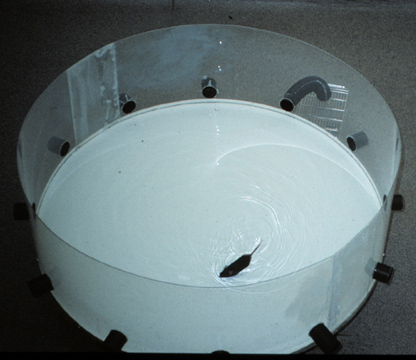 Robert M.J. Deacon from the Department of Experimental Psychology, University of Oxford has just published a paper on Shallow Water (Paddling) Variants of Water Maze Tests in Mice. The aim is to remove passively floating or diving while retaining the water as an escape motivation (and possible removing scent trails). Looks as though the data will be difficult to compare with standard MWM as the escape paradigm is closer to Barnes maze with escape being through exits oat the sides. Its seems surprising at first indications actually that they don't just see thigmotaxis or al least carry out a serial search of the apparently visible exits. These are just first observations - not detailed reviews though.